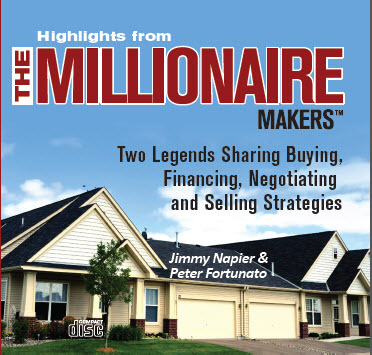 Jimmy Napier and Peter Fortunato sharing buying, financing, negotiating, and selling strategies. Recorded live in front of 735 investors in Las Vegas in 2001. Available in CD (15 CDs) and MP3 (2 CDs).